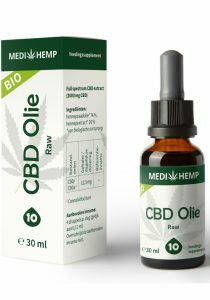 Buy CBD Oil 10% 30ml (Medihemp) Raw? Very high quality. 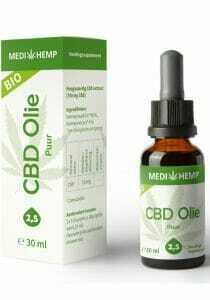 Medihemp CBD oil is of very high quality. 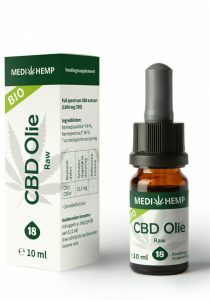 Made out of plants from certified organic hemp. 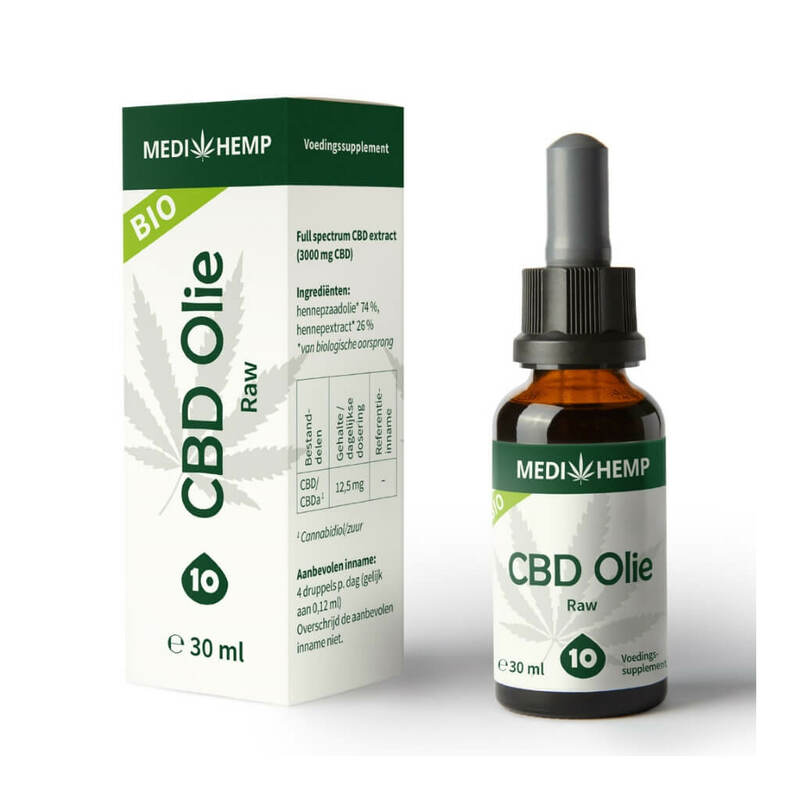 This Medihemp CBD oil is extracted through a very friendly extraction method from the entire hemp plant. 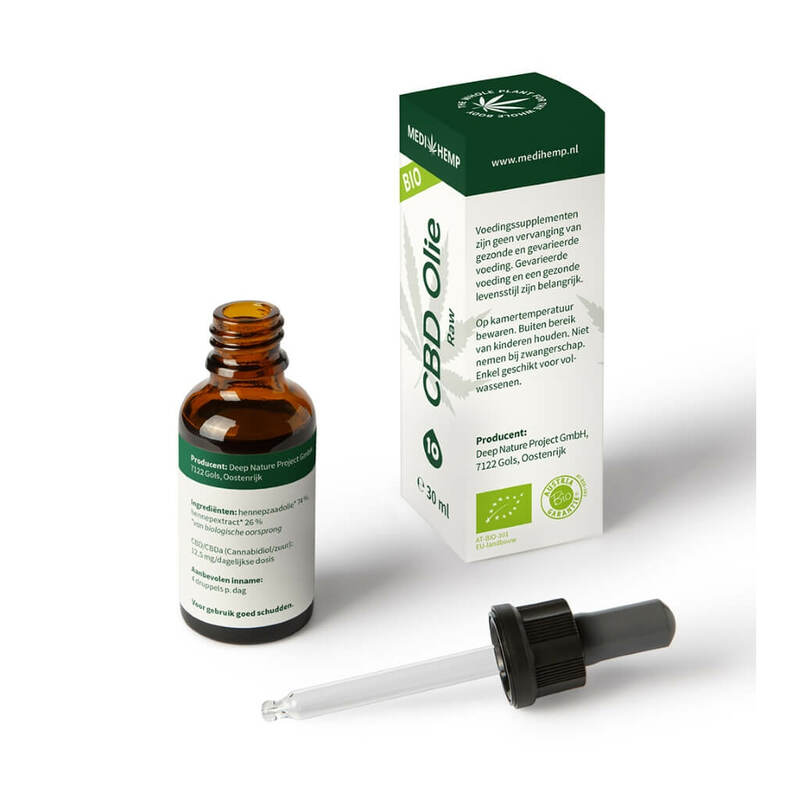 As a result, the CBD, CBDa, CDC, CBN, CBV, terpenoids, flavonoids and phenols are present in the CBD oil. Start by placing daily one drop under the tongue. Gradually you can increase this dose to a nice dose for you. 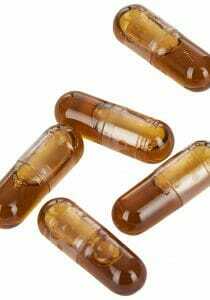 This product is not a substitute for medicine, but a food supplement. In doubt always consult a doctor. In addition to this oil, we also sell a very high dosed organic CBD-oil with CBD only. Which you can find here. 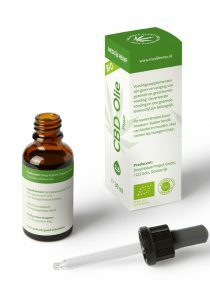 Please note that this product is only sent in Europe (EU countries) and to the United States. Can be used up to 1 year after opening (even after expiration date). This CBD Oil is 100% natural. 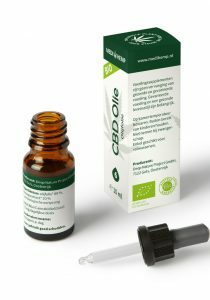 The natural balance of the plant is fully respected, both in the growth process of the plant as well as in the extraction process of the CBD. 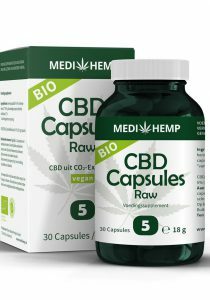 Hemp plants are not artificially illuminated during the growth process, but grow completely natural. No artificial pesticides, herbicides or dressings used. This product has been tested and carries an Austrian organic certification. During the extraction process, the CBD oil is obtained by heating the hemp flowers at a minimum of 145 ° C.